Renovated Units Available for Fall 2019 Move In! 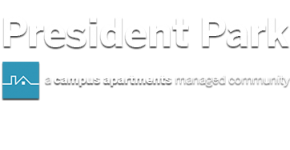 President Park Apartments provides an exciting and traditional housing experience for graduate students at Emory University. As a resident of any one of our Decatur apartments, you'll be part of a comfortable, practical, and private community designed specifically with your needs in mind. Whether you need a quiet place at home to study, or thoughtful amenities to take the stress out of this semester's course load, this is the place to be. Once you've explored our available floor plans, photo gallery, and list of features and benefits, stop by today to set up a tour of your future home! The Apartments at President Park is a pet friendly community. There are some restrictions, so please contact the office for more detailed information on our pet policy, associated fees along with any other questions you may have.